I particularly enjoy working with items of simple utilitarian use - the detritus of life from earlier generations. An old, much loved and worn book or bowl can bring as much joy for me to paint as a most complex composition. Indeed, my aim is to impart a sense of appreciation in reflecting upon old everyday objects which have no intrinsic value except for the richness of their history and the hands through which they have passed. In this there is a thread running back to the life of the person who crafted and used the item, though most likely now long forgotten, as well as that same thread inviting future generations to pause a moment and consider those who have passed this way before, and of the fleeting nature of life". Ian Mastin was born in Leicestershire, England in 1949, though he grew up in Brisbane after emigrating to Australia with his parents as a child. Ian had no recollection of any involvement with art during his school days and it was only in the mid 1980s when he began to sketch for recreation, that he discovered a natural gift and an eye for detail. This led to an invitation to exhibit in a Brisbane gallery where he quickly experienced success. In 1991 Ian returned with his wife and children to Britain, settling in East Lothian. 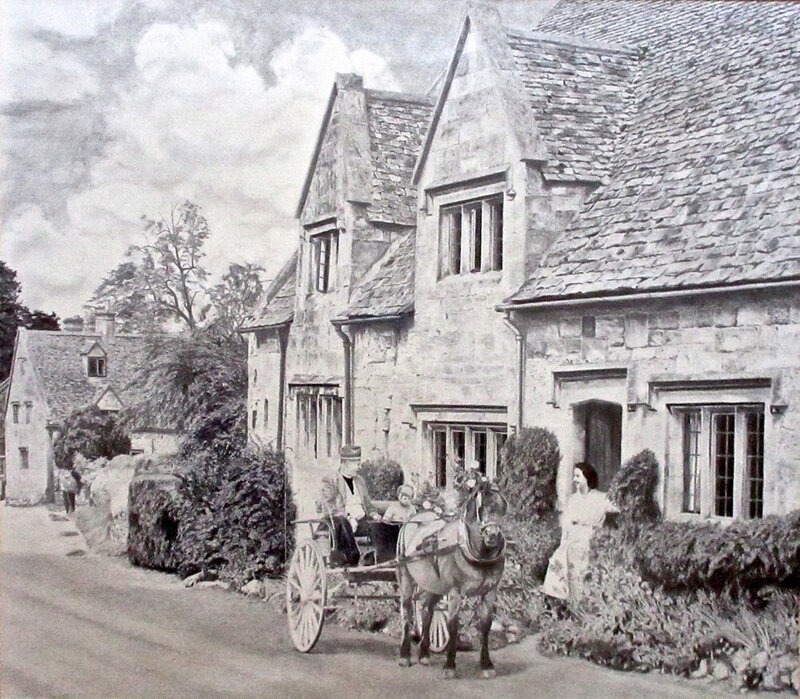 It was here that, having been given a set of watercolour paints by Eleanor his Scottish-born wife, he picked up a paintbrush for the first time and after a year of experimentation in fundamental techniques, he committed himself to painting full-time. As a novice, his early works were mainly watercolour and the subject matter varied, but it was his discovery of still life in the traditional style that gave him the direction he had been seeking and the passion to pursue his artistic goal of excellence in this genre. Ian’s chosen medium is acrylic. “If crafted well, the simplest of subjects have the potential to arrest and delight. I have amassed a large number of subject items to include in my paintings over the years and I’m particularly attracted to the old, worn and often imperfect or repaired items. There is a Japanese art form called Kintsugi or ‘the art of precious scars’ which will take items, most usually pottery, that have been broken, and wonderfully restore them focussing upon and emphasising the beauty of the scars instead of trying to hide them. For me, the wear, tear and scars of old hand crafted items reveal a fascinating unspoken background story, real or imagined, and it is this aspect that inspires me the most." "It’s the same with selecting fruit. Whenever I'm looking for organic items to paint, I much prefer roadside stalls or farmer’s markets to supermarkets because the first things that attract me to a piece of fruit or veg to paint are any misshapen, gnarled imperfections or over ripeness. Life is just as precious in our struggles and imperfections as in our pomp and ease. Old books (another subject favourite) are the same. A much loved well-read book falling apart at the seams is infinitely more appealing to me than one fresh off the shelf. After so many years painting, I find I’m subliminally aware of and on the lookout for such rich stimuli wherever I go. I continually visualise how objects and images I encounter may look in a painting". In 2001, Ian and his wife returned to Queensland where he continues his love affair with art. Ian and Eleanor have settled in an idyllic little community on the Queensland Pacific coast called Woodgate. It has proved to be the ideal environment for inspiration in his work, combined with the pleasure he derives from working in the landscaped garden he has created - his "other canvas". "As a daily routine, I usually find myself in the studio before 4am each day, the first of many mugs of coffee in hand, and I find that at that time in the morning there are few distractions. I love the period around first light — cool, a deep calm and with only the awakening of nature outside. I love the early morning bird sounds emanating from the garden, (kookaburras and lorikeets particularly). I listen to music in the background as an essential part of my working day. I must have accumulated many thousands of pieces in my iTunes library by now, and my playlists are very eclectic, depending on the mood. I will often drop in a hint of a favourite piece of music or literature into a title or component of one of my paintings. I routinely used to work 70 to 80+ hour weeks but now I’m down to a slightly more sane 50 to 60 hours. My one daily indulgence is a most welcome late afternoon G&T and cigar which is an excellent way to wind down another working day." Ian's artwork has built an enthusiastic following across the UK and Australia and is regularly featured in Art Fairs world wide including London, New York, Amsterdam, Hong Kong and Singapore. His paintings can be found in many private collections all around the world although he also takes great delight in submitting a few fresh, new pieces for the community's vibrant, "Woodgate Arts In Spring" festival each September. Most remarkably, Ian has never undergone any formal training and is an entirely self-taught artist. His detailed, painstakingly crafted paintings are the result of keen observation, countless hours honing skills and perfecting technique together with the application of much discipline and dedication.